Communicate with your customer base powerfully and effectively with the reach of digital marketing. We cover all of your digital marketing needs from websites and social media to photography and much more. Our digital department provides leadership for innovation and optimisation, even developing new technology in the brand marketing sector. Our photography offers another chance to tell your company’s story with eye catching photographs, carefully composed with effective lighting and professionally edited. We take photos that pop! We specialise in creating content for original, eye catching daily posts and ads that cater to your company’s needs, all derived from a central, social creative strategy. We compile monthly analytical reports to inform our advance scheduling. We have all the tools to create winning websites. Bespoke Websites are built in Wordpress, although we also offer a more accessible, wired frame option. All websites are designed and built to achieve a high quality end user experience. 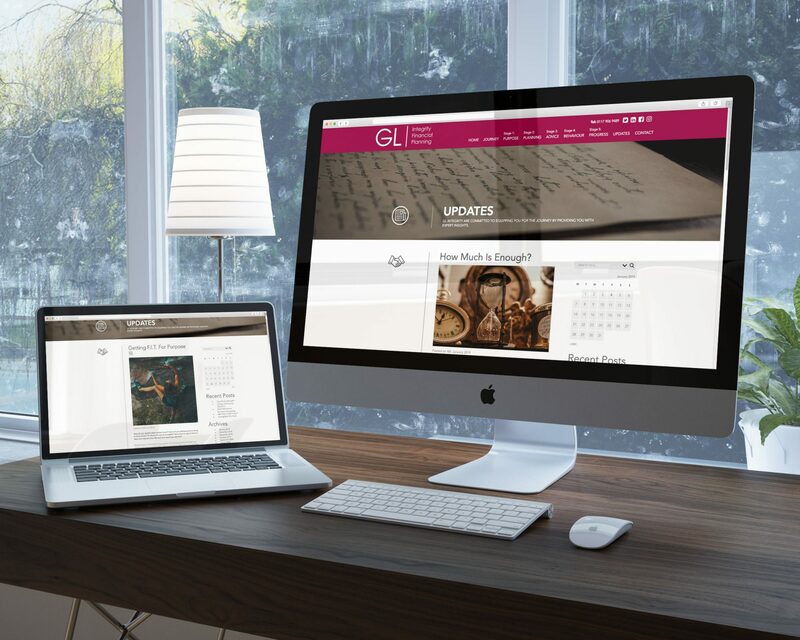 We create websites using a combination of creative experience and technical expertise, giving you, the end user, the highest quality, interactive experience. All our websites are built in such a way that the code is compliant to what search engines want. We can check your website code to optimise it for SEO, also keyword research and implementation across the website. More advanced SEO services would include unique keyword meta descriptions for key pages. Emails written in a distinctive voice with great subject lines and targeted content, delivered in short paragraphs ensuring that relevant keywords and phrases stand out to engage more effectively with your audience. 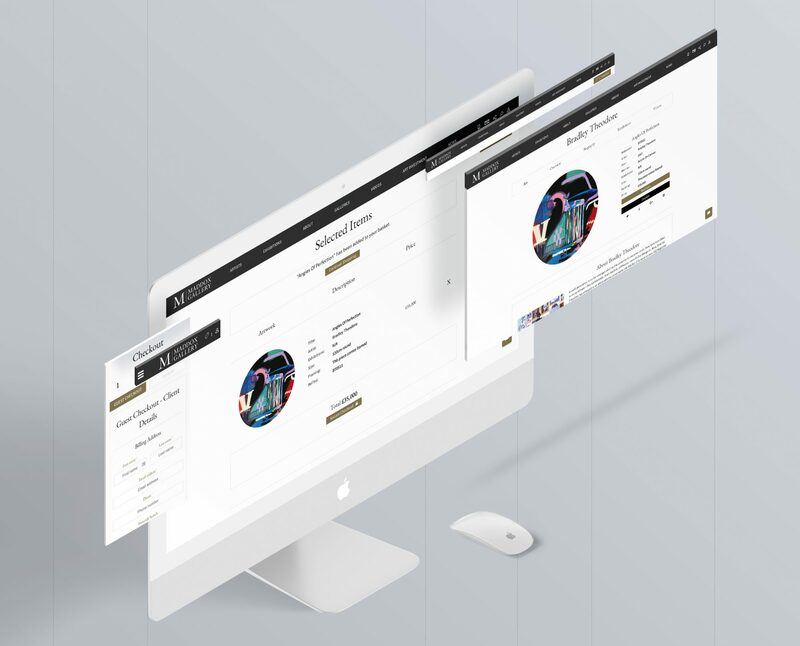 We build bespoke applications, imaginatively designed with great functionality to give your company the competitive edge. 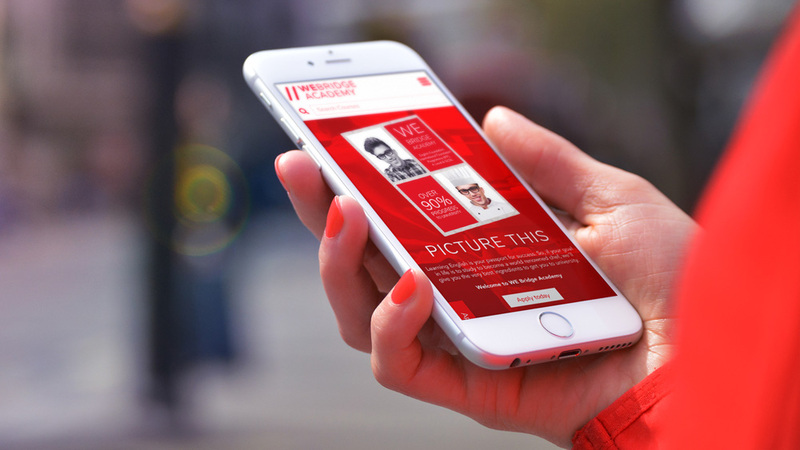 We can create an app for your business that will increase your reach within the marketplace. With a manufacturing and racing pedigree that stretches back almost 30 years, Vector is a marine performance brand, dedicated to delivering the most exciting and original nautical experience available today. Formerly Vector Offshore Racing, the team has now been renamed as Jaguar Vector Racing and the CEO of Vector, Mal Crease is very proud to be aligned with a great British brand like Jaguar. Jaguar Vector aims to break an unprecedented further 12 UIM World and National Records as part of its push towards performance excellence through its new partnership with Jaguar. 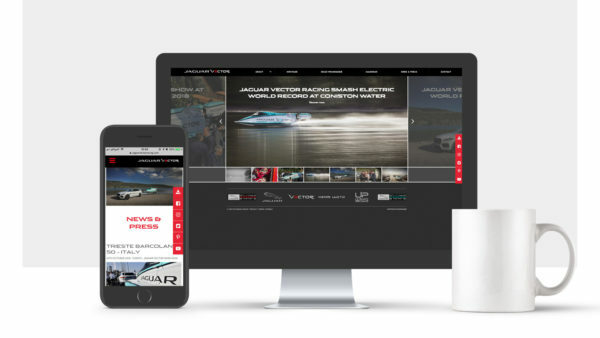 Working to a tight deadline with the team at Jaguar Vector, we built and delivered a website that serves to make a big splash in the powerboat racing circles and state that Jaguar Vector is here! Working in collaboration with the in-house team at Maddox Gallery, Cre8ion have been involved since they began their journey 3.5 years ago. We have created a website that has scaled successfully alongside rapid growth from one site to six, including Los Angeles and Gstaad. The website has a huge library of content (including video created by our Production team) as well as an e-commerce solution that allows you to purchase high ticket contemporary art. 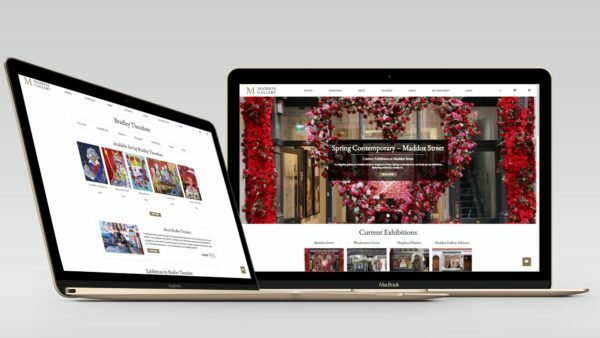 As Maddox Gallery continue to scale we regularly work with the team to implement new features that keep them at the forefront of a new movement in art investment. Working with the team at Filton Avenue Primary has been an exciting journey. We met them when the schools were going through a lot of transition. We worked with the business manager with the mandate of restoring Filton Avenue as leading school within the North side of Bristol. We workshopped and built a creative strategy that focussed on their heritage by creating a logo identity that matched their road sign with the strap-line “Together on a Journey Towards Success”. This served them well for six years and included the creation of an app. 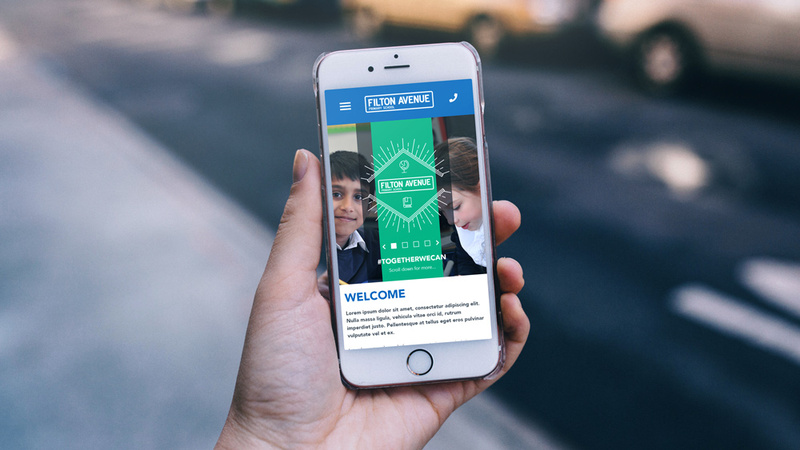 Recently, with a new team in place at Filton Avenue we built out a communications strategy that saw us revisit their online proposition. The focus now was to transition the school into paperless communication that included a website and email booking system at its core. So, we updated their brand and refreshed the site all the while retaining the road sign identity. 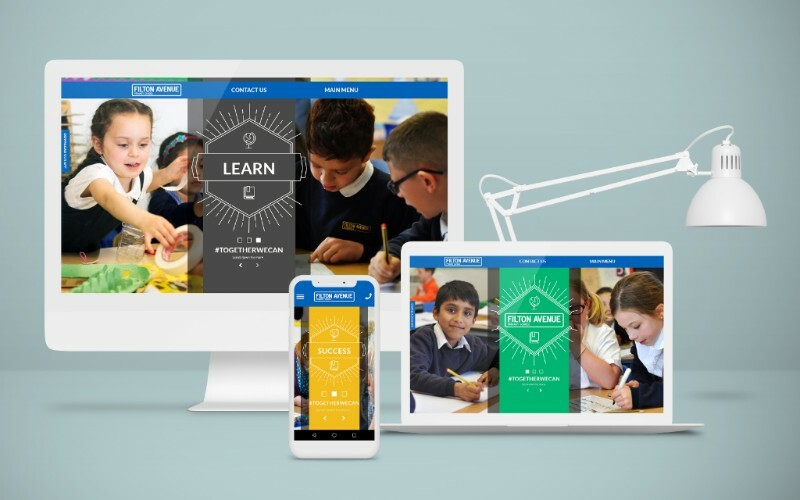 The result was a brand that was completely modernised around the communications strategy, making it easier for parents, teachers and pupils to engage with multilevel communication. WE Bridge Academy are an international language school who are focussed on helping foreign nationals to learn English in preparation for study in universities in Wales and England. 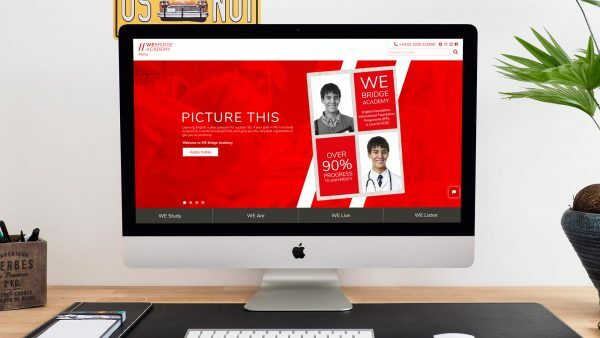 WE Bridge Academy had previously invested a lot of money in creating websites that served as brochures rather than activity driven solutions. In seven years they had not had a single enquiry via the website and felt they needed help as they believed they were missing out. 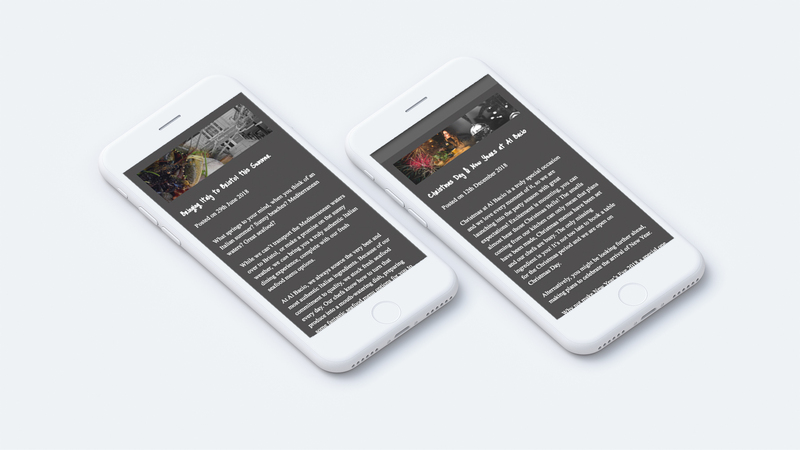 Following our 360 process (Workshop, Creative Strategy, Brand) the website had every chance of being a success, based around our philosophy of telling the right story to bring the right enquiry. Traditionally, many of the students had come from existing relationships with agents. 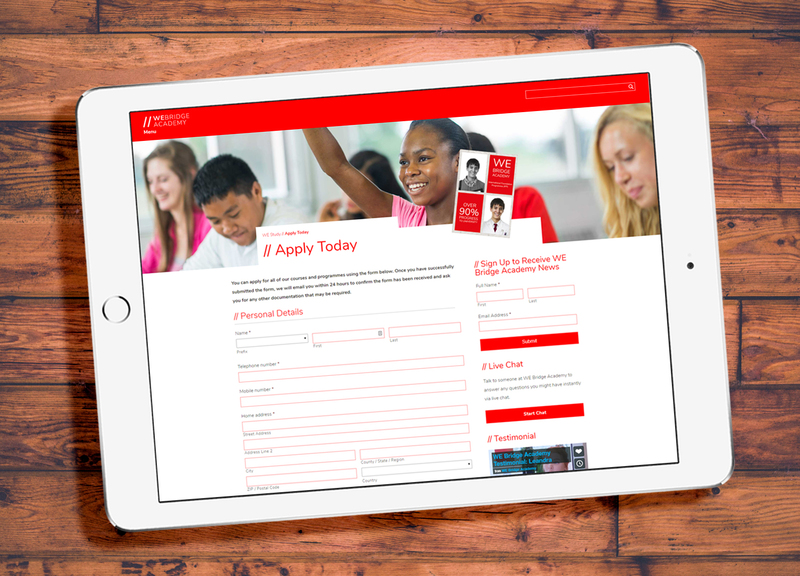 As WE Bridge Academy’s audience continued to widen we wanted the website to serve as an agent itself by allowing potential students to apply online and simplify the administration team’s back office processes. The great news is the website has proved a resounding success with all applications going through the website and now dealing with over 50 website related enquires per month and rising. 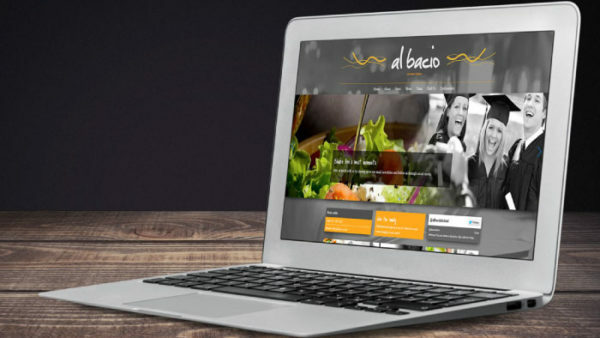 We worked with Al Bacio to build a database of customers with whom they now communicate on a regular basis about their latest offers and special events. 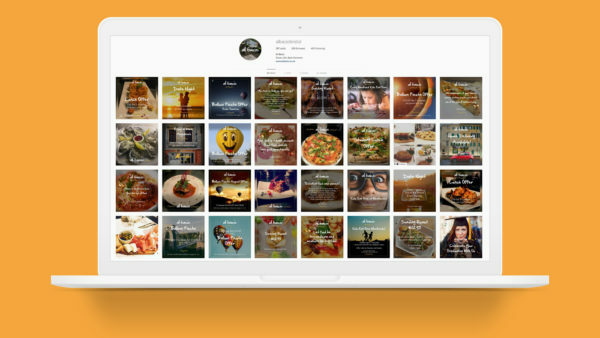 We also send out regular emails featuring a blog, case study and incentives, as well as managing Al Bacio’s Facebook, Instagram and Twitter accounts, all in their unique, branded style. As a result of this work Al Bacio has grown their database significantly, regularly fill their restaurant and they have a four and a half star rating out of five on the Trip Advisor website. 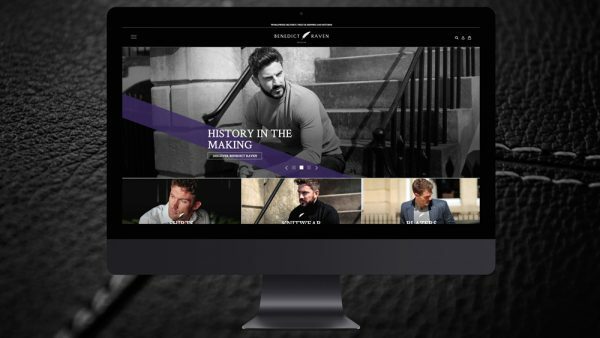 Working with the launch team at Benedict Raven to build a website that would showcase their full range of Gentleman’s attire and compete with the more established fashion brands we were faced with the challenge of an already crowded marketplace. When the website was due to go live we created a series of images from the initial collection for Instagram (wallpaper) and Facebook (Advertising) and created their launch video to be broadcast on both social channels and website. 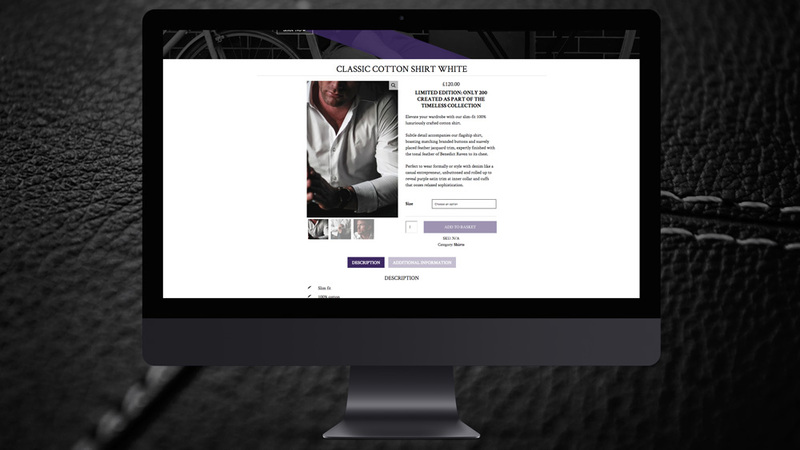 Since the site launch, the team are already making an impression with key celebrities and fashion magazines such as GQ, featuring their new range of clothing, while sales continue to climb. With a packed diary for this year, featuring at some key events like the Goodwood Festival of Speed, Benedict Raven are starting to fly. 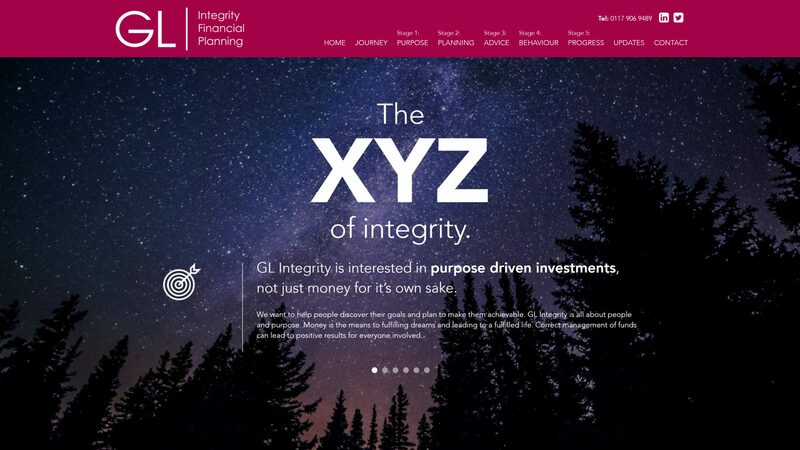 GL Integrity’s website is completely focussed around their purpose driven narrative, clearly communicating the journey on which they take their clients. This website has some great innovative features such as a “What’s your score questionnaire” (try it here). By answering a series of questions you will get a downloadable report diagnosing your financial fitness. 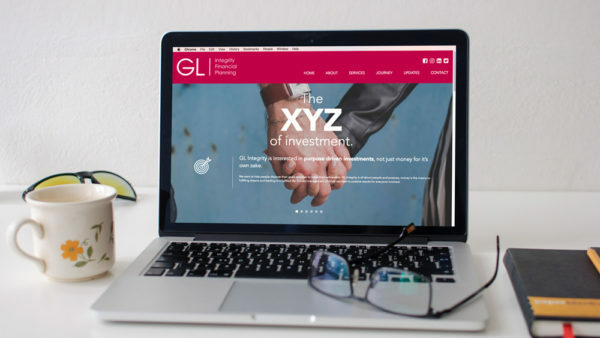 The website works to create relationship with new clients and add value to existing ones. We regularly produce value added content, including blogs and case studies, that are not only posted on their website but also distributed to their mailing list via email. To support ongoing communication with clients we are responsible for regular social media posts on LinkedIN, Instagram, Facebook and Twitter. Al Bacio is an Italian restaurant that prides themselves on providing a full Italian experience, built on a creative strategy centred around “celebrating life’s best moments”. We worked with Al Bacio to build a database of customers with whom they now communicate on a regular basis about their latest offers and special events. We also send out regular emails featuring a blog, case study and incentives, as well as managing Al Bacio’s Facebook, Instagram and Twitter accounts, all in their unique, branded style. As a result of this work Al Bacio has grown their database significantly, regularly fill their restaurant and they have a four and a half star rating out of five on the Trip Advisor website. 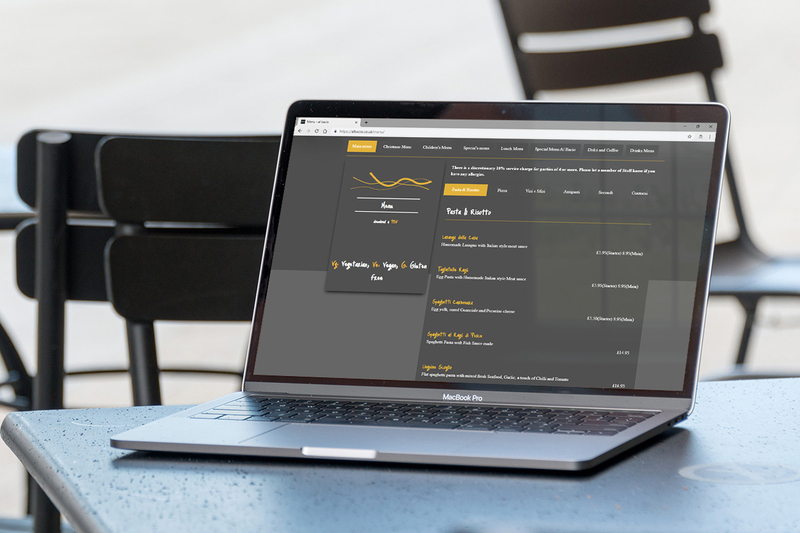 All of this activity is focussed around the fully responsive website as the main tool to capture data, display menus and share news of events and special offers, designed and built for their team to manage regular updates.